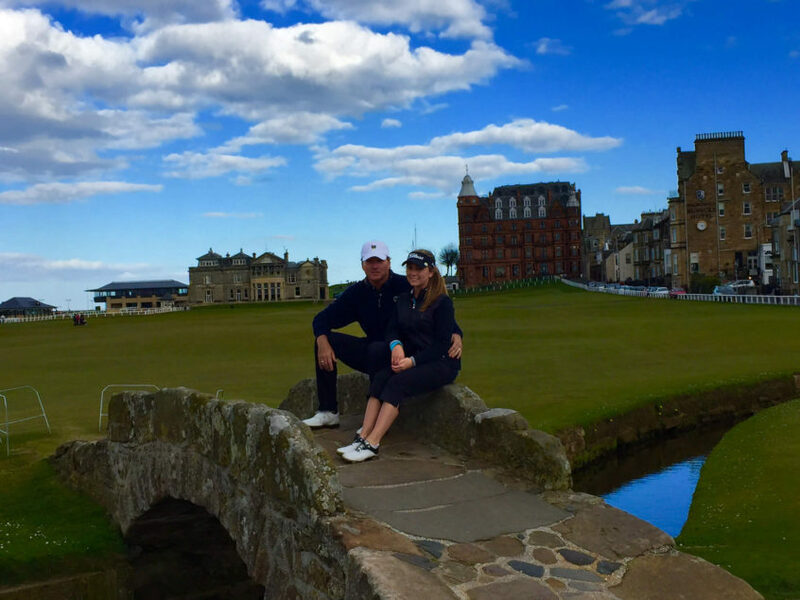 The author of this post is Alexa Hammer, who is a University of St Andrews student and golfer writing about her experiences. See more of her work on her Hammer & The Links page! This is the 2nd Lessons of the Links post! 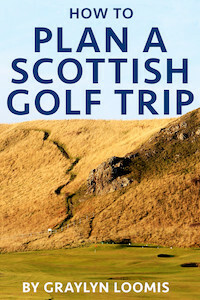 Below I share more information I have learned since living in the Home of Golf. I hope you learn something new too! 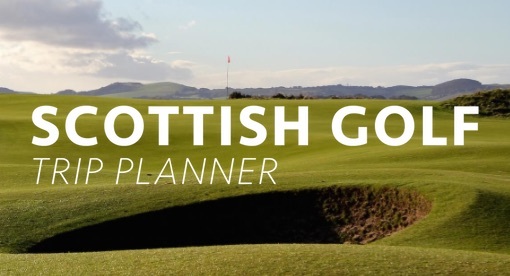 When you think of St Andrews, Scotland, often the first image that comes to mind is one of the Swilcan Bridge, more specifically the iconic photo with Jack Nicklaus standing on the Swilcan waving back. 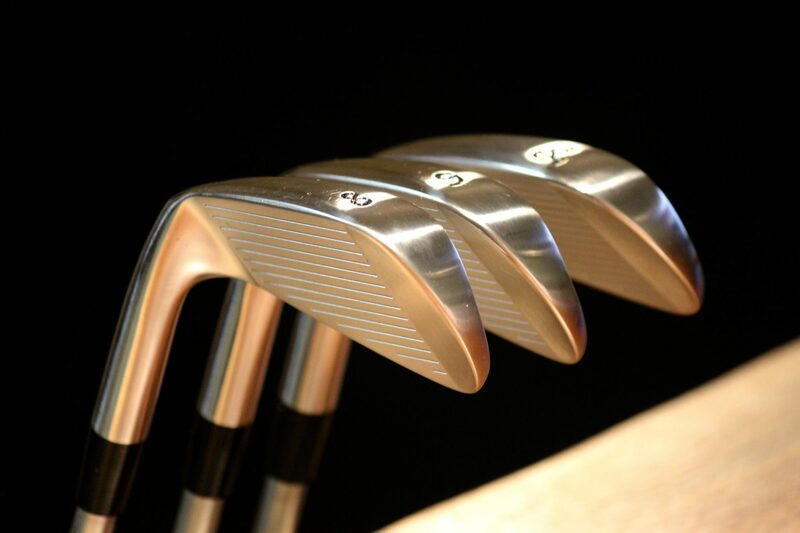 Even though it is small in size, the Swilcan is big in name across the world of golf. The 8 foot long and 6 foot wide bridge crosses over the Swilcan burn and divides the 1st and 18th fairways of the Old Course. 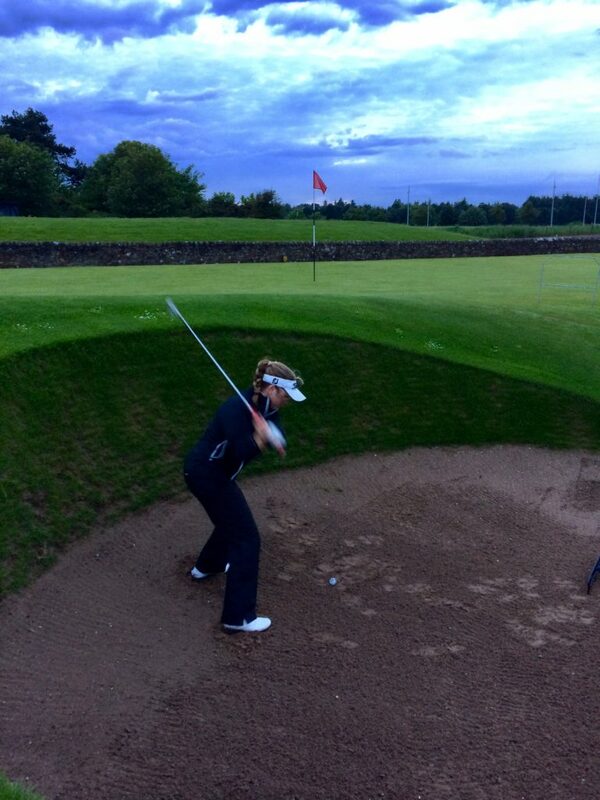 Being from Florida, I wasn’t familiar with the term ‘revetted bunker’ before moving to Scotland. 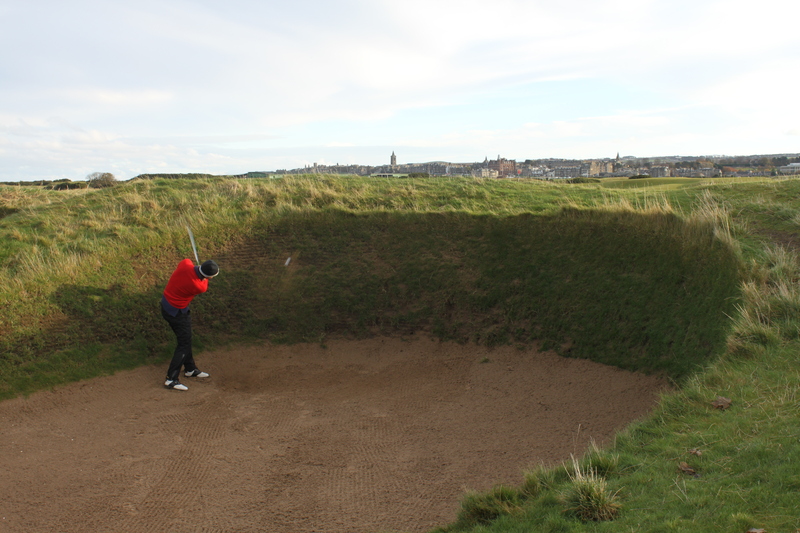 The majority of bunkers I come across in Scotland are revetted bunkers, and I can only think of a few places in the states that have the stacked sod faces. Since I did not originally know what a revetted bunker was, I thought I would clarify the term for those who don’t know. Revetted bunkers are stacked sod wall bunkers. 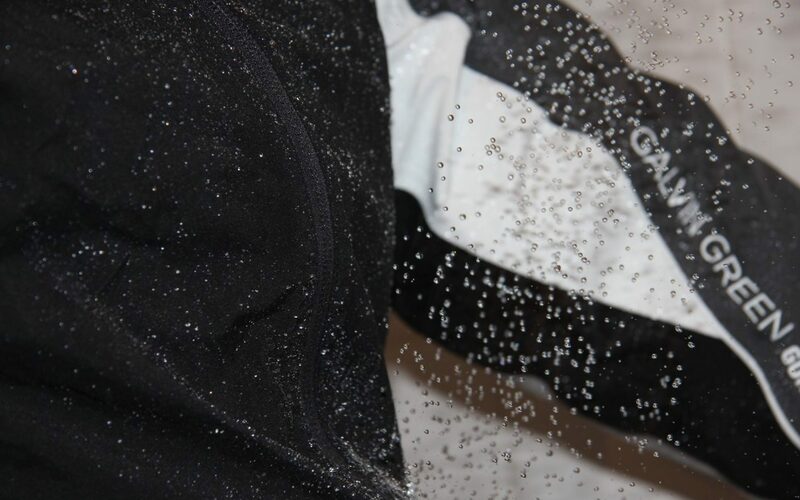 They are constructed by simply stacking layers of sods on top of another. Depending on the size and height of each bunker, the number of layers of sod ranges anywhere from 20 to 50 layers. Despite revetted bunkers being more complicated in design, there are many benefits of this style bunker including less maintenance, greater face height with less erosion, wind/weather durability, better drainage and unique aesthetics. In more modern golf course construction around the world, some revetted style bunkers are now being constructed using a synthetic grass material that looks like stacked sod. As good as some of the synthetic material may be there is nothing like the authentic revetted bunkers, with the natural stacked sod, of true links courses. Have you ever heard of any course being played backwards? 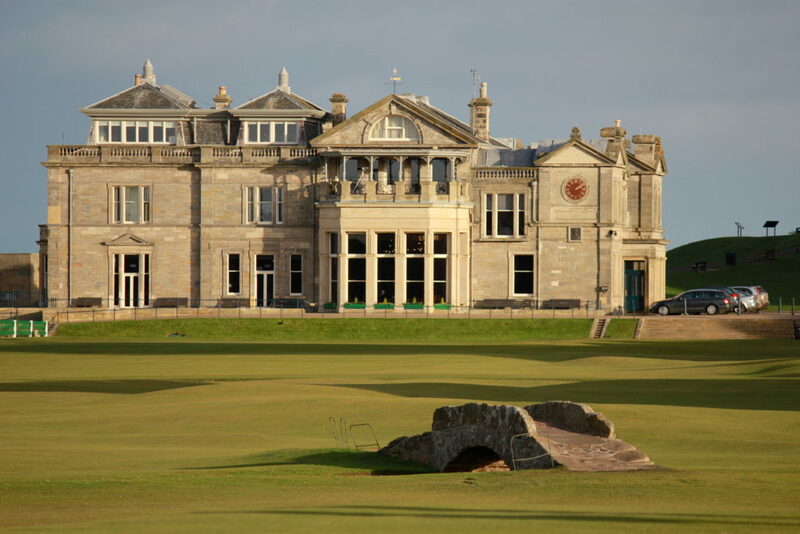 The Old Course was played in two different directions for much of its existence. 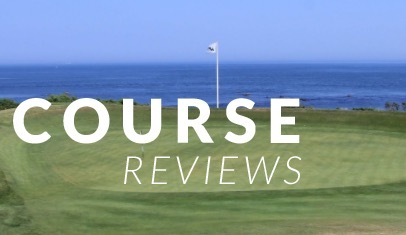 It was really two separate courses -The Old Course and The Reserve Old Course. 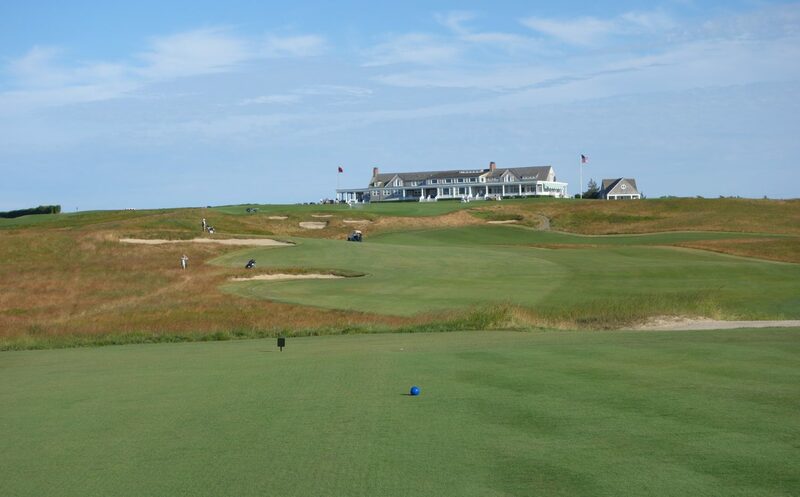 The first hole of the Reserve Old Course was played from the 1st tee to the 17th green. 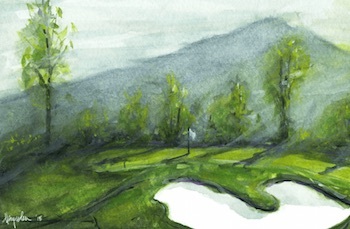 The second was played from there to the 16th green and so on until the 18th green was reached. Playing the course in reverse was actually quite simple due to the double greens, open and treeless nature of the course, and the relatively circular routing of the holes. The first Open Championship, or The British Open as many Americans call it, was first played at Prestwick in 1860. This true test of links golf is “golf’s oldest championship.” The first time The Open Championship was played at St Andrews was in 1873, also the first year the Claret Jug was presented. Being over 150 years old, The Open has only been hosted at 14 different venues, including St Andrews, Royal Portrush, Carnoustie, Royal St George’s, Prestwick, Royal Lytham & St Annes, Royal Liverpool, Muirfield, Turnberry, Musselburgh Links (The Old Golf Course), Royal Cinque Ports, Prince’s, Royal Troon, and Royal Birkdale. 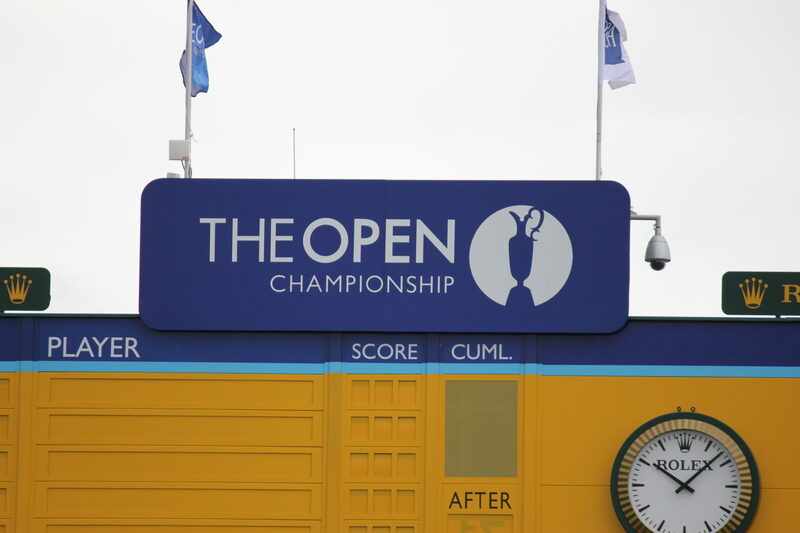 The Old Course has hosted The Open the greatest number of years (29 times). Next year’s Open will be held at Royal Birkdale for the 10th time. Look out for future Lessons of the Links posts – more to come! Nice picture with your dad on the Swilcan Bridge. If he says on the first tee that he needs extra shots because his game is rusty, don’t trust him! 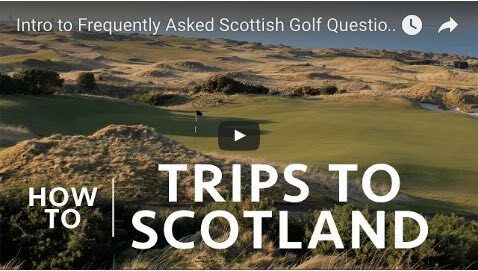 Appreciate the good report and stories behind St. Andrews.